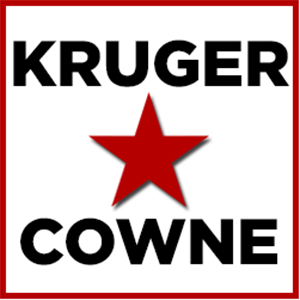 We kicked off 2016’s Kruger Cowne Breakfast Clubs with a stellar line up. BBC World Affairs Editor John Simpson CBE and former Chief of MI6, Sir Richard Dearlove joined us to discuss the topic of War & Peace. With almost 50 years in the industry, John Simpson CBE is celebrated as one of the greatest journalists of our time, devoted to sharing groundbreaking and hard-hitting news. John is recognised as the most senior news correspondent for the BBC, covering some of the globe’s most defining moments in modern history. He has reported from 140 countries and has interviewed some of the world’s most notable names such as Colonel Gaddafi, Bashir al-Assad, Nelson Mandela, and Robert Mugabe. Sir Richard Dearlove was the Chief of the Secret Intelligence Service, MI6, from 1999 to 2004. With a career spanning over 38 years in British Intelligence, Sir Richard’s time as Chief of MI6 was marked by dramatic events and global instability, including the invasions of Iraq and Afghanistan, the crisis of 9/11 and a terrorist attack on the SIS headquarters. To book Sir Richard Dearlove or John Simpson for your event or conference, contact us at +44 (0)20 3124 1860.